A popular home improvement, conservatories provide essential living space and if correctly designed, they can increase the value of your home. However, have you considered your conservatory security? As an affordable way to extend your home, a conservatory represents a real investment opportunity and in a sensible world, a person makes sure that their investments are fully protected. A conservatory deserves the same security considerations as the rest of your home. For thieves, conservatories are often seen as a means of access to your property. Securing your conservatory will help prevent any potential break-ins, allowing your valued investment to remain safe and secure. In the small number of cases where conservatories have been targeted, it has often been the result of cheap construction. Not all home owners have the knowledge or experience in this area which is why so many rely on the knowledge and guidance of their installer. This just further high lights the importance of choosing an experienced and reputable conservatory company such as one of our local vetted installers. The companies in our network are fully accredited, with years of experience in the industry. Our conservatory experts will ensure you receive a quality installation. Quality products and craftsmanship should always be favoured over cheap prices because ‘too good to be true’ prices are exactly that. You get what you pay for. You can’t put a price on the safety of your family and home. These few steps will help keep you safe. 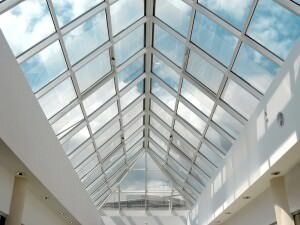 If you have a glass conservatory roof then toughened glass is ideal. Not only does this benefit your overall safety but it is also a great security measure. Toughened glass makes it harder for would-be thieves to break into your conservatory. All windows should be fitted with a high security locking mechanism such as shoot locking. A shoot locking mechanism drives bolts into the receptors of the window frame itself, making it incredibly hard to break. These hinges are specifically designed to help prevent intrusion. Conservatories awarded with the BS7950/7412 meet the following security requirements: mechanical loading, human intervention and glazing security. Your conservatory needs the same security considerations as your front door. There are a wide range of locking systems available for your conservatory and your chosen installer will provide you with a choice of high security locks. It is important that your conservatory locks have been tested for compliance with the relevant British Standards: BS6375 and PAS24. The majority of conservatory window and door frames are manufactured from timber, aluminium or UPVC. If you haven’t already, then you must consider the quality of your chosen windows and doors. The windows and doors you choose will have a huge impact on the overall security of your conservatory and home. All windows should be lockable and any units which are not used should be sealed shut permanently. Bi-folding doors are becoming commonplace on conservatories and with their popularity rising so is the need for effective locking mechanisms. If you want your conservatory doors to be extra secure then you will want a high quality multi-point locking system, along with an in-line tracking system. This duo makes it virtually impossible for an intruder to remove the doors. As the main point of entry for thieves, windows and doors need careful consideration. Laminated glass has been designed to resist intrusion. Laminated glass installed on the inner pane of your sealed units will further your security. When broken, the glass’s interlayer will continue to safeguard your conservatory. 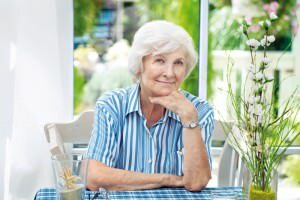 Home security is important to everyone but if you are particularly concerned about your conservatory’s security then there are other precautions you can take. The main objective to having an alarm system installed is the peace of mind you receive. An alarm system will help you feel; safe and secure by reducing potential risks and providing an effective deterrent, protecting your loved ones. Have a look at this crime prevention website for more information on how to protect your conservatory from unwanted intruders.